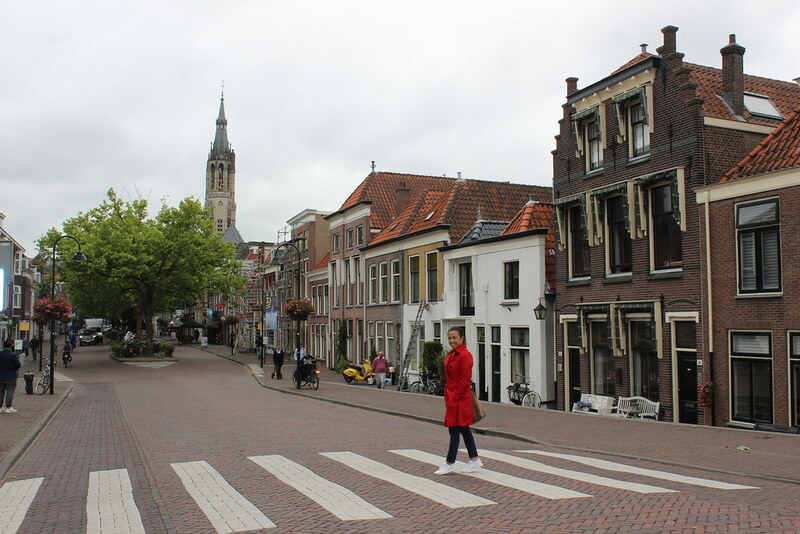 On our third day, we woke up early to go to go around Delft and The Hague. On our way to Delft, we passed by the flower auction muna in Aalsmeer which is near the Schiphol Airport. Now ko lang nalaman, while googling it, that the Aalsmeer Flower Auction has the largest building footprint in the entire world. Every weekday they sell like 20 million flowers. Bongga di ba? I’ve seen photos of the inside of the building before. Visitors can walk in the suspended catwalk to watch the trading below. Siyempre as expected, you will see all kinds and colors of different flowers there. Yung nga lang, it opens at 7:30 am for visitors and they’re done na by 11am. Eh dumating kami mga 10:30am and we were told maaga daw natapos yung auction. Olats. Pero atin atin lang ito ha? I wasn’t really interested in going to the flower auction. Hindi ako masyadong mahilig sa flowers. Yeah, I like receiving white tulips and a bouquet of colorful mums, but that’s it. Feeling ko ako lang yata ang nanay na ganun. Lelz. 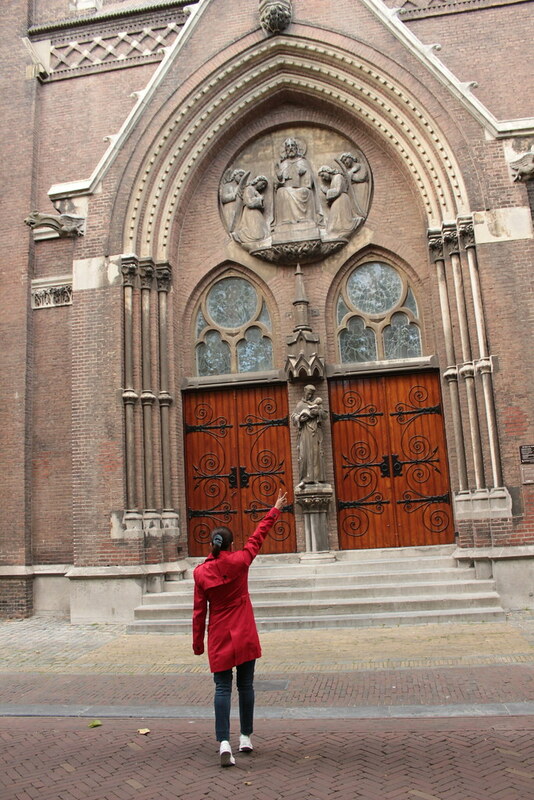 But everyone in our group wanted to check it out so I went along. 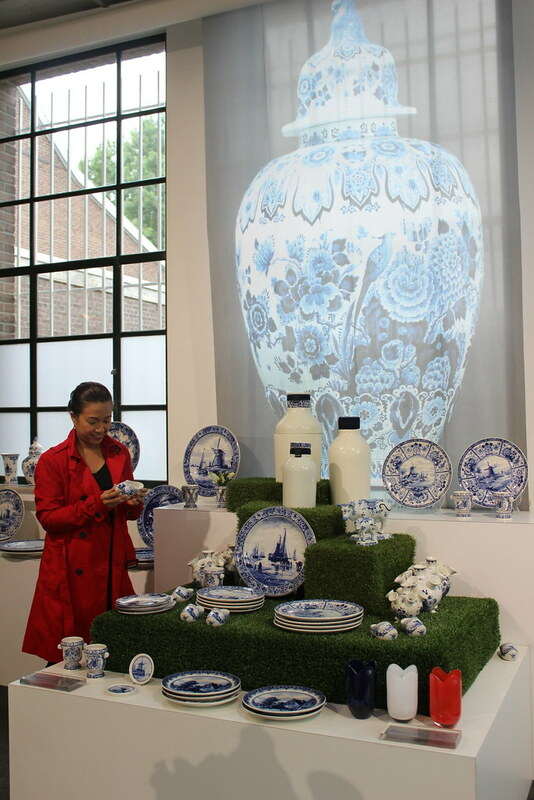 Besides, it’s not everyday you get to go to Amsterdam and see a grand flower auction, right? But yun nga, they were closed already that time. While everyone was medyo bummed because we weren’t able to witness the auction, I was like “Okay, where to next?!”. Hahaha! 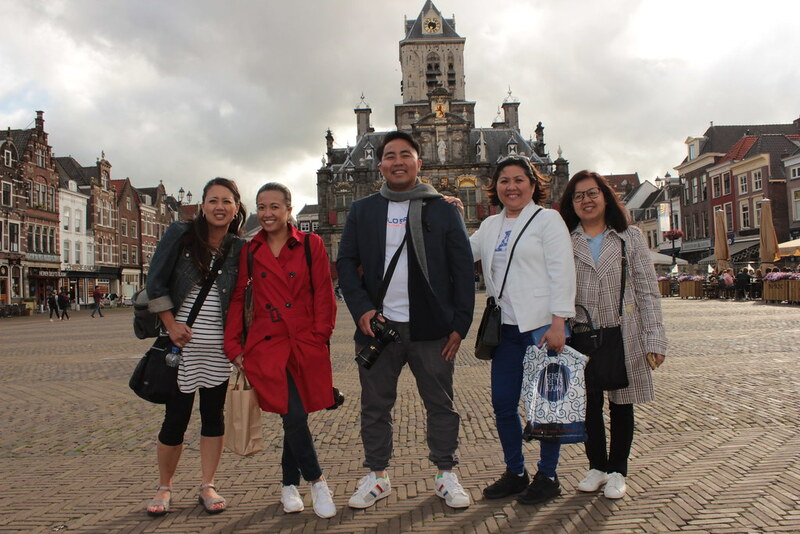 So, we drove na for one hour from Amsterdam to Delft. 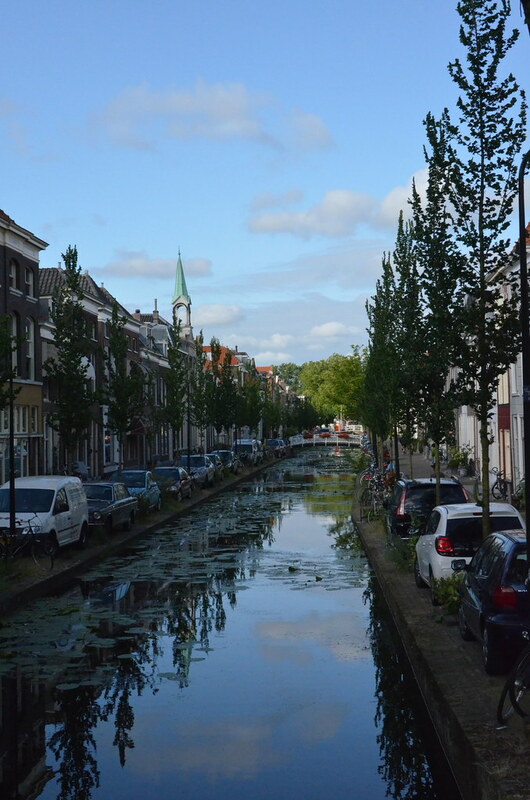 Delft is one of the cities in the south of The Netherlands. 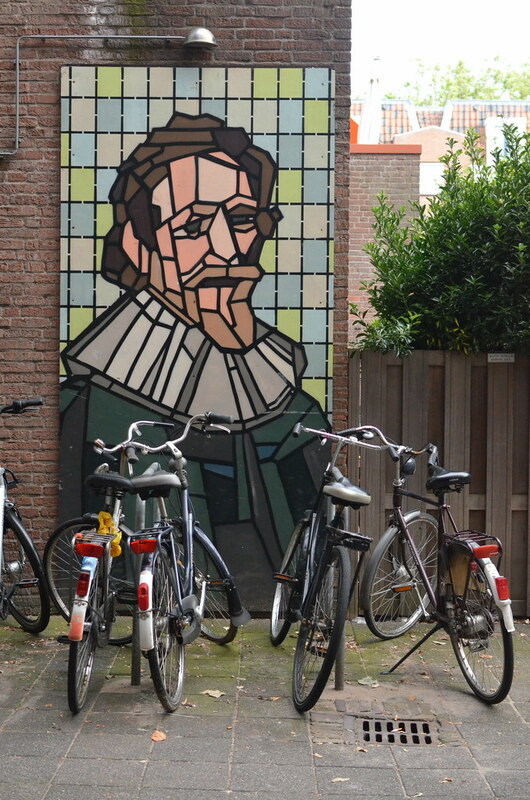 It’s located between Rotterdam and The Hague. 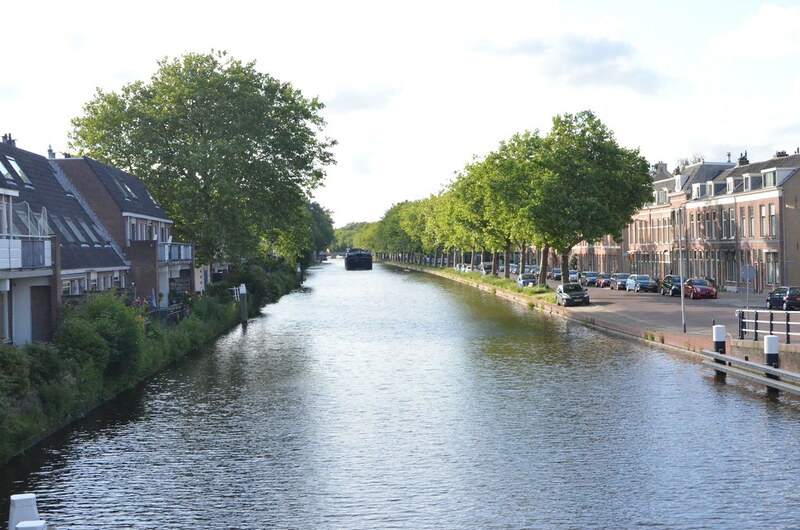 It’s where you can find Delft blue pottery and limpak limpak ang beautiful canals here. 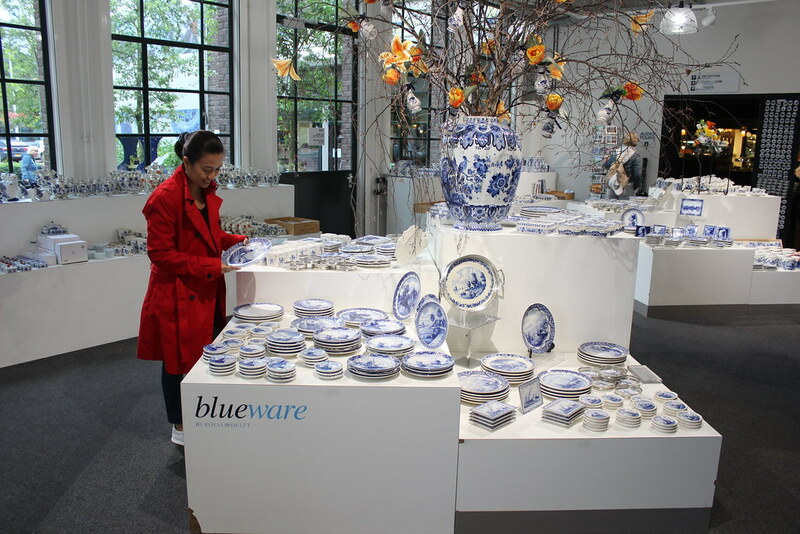 When we arrived in Delft, we got Waze to take us to this quaint Delft blue pottery factory that we went to before. However, humihinto kami somewhere in the middle na wala namang factory. 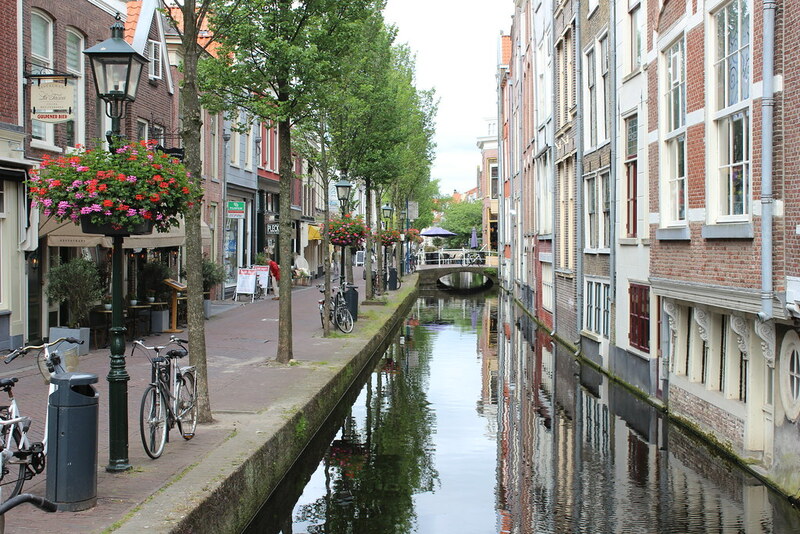 It was hard pa naman to go around delft because the streets are narrow on both sides because they have canals in the middle. Ang daming one way. Nakakaloka. Ang hirap pa ng parking because the parking in the streets are reserved for the homeowners in the area. 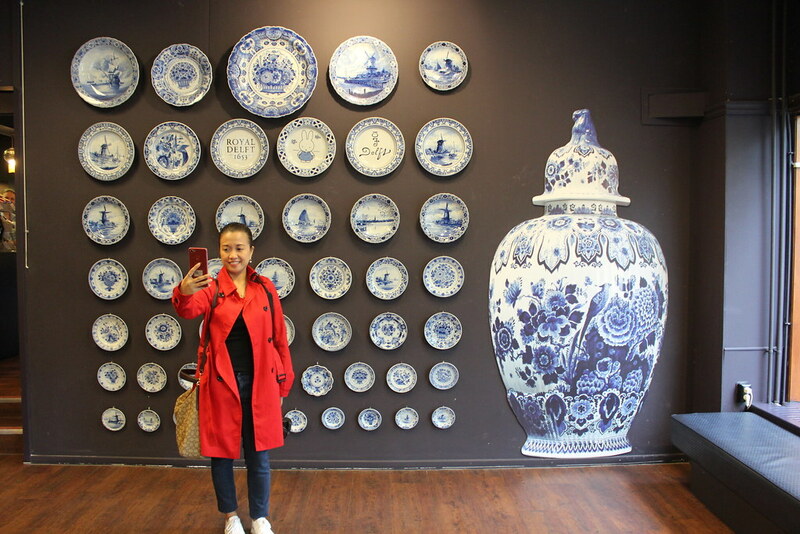 We gave up looking for that small delft blue pottery factory so we decided to go na lang to a bigger one. Medyo commercialized kasi etong malaking ito kaya we preferred sana to go to that small two storey factory. 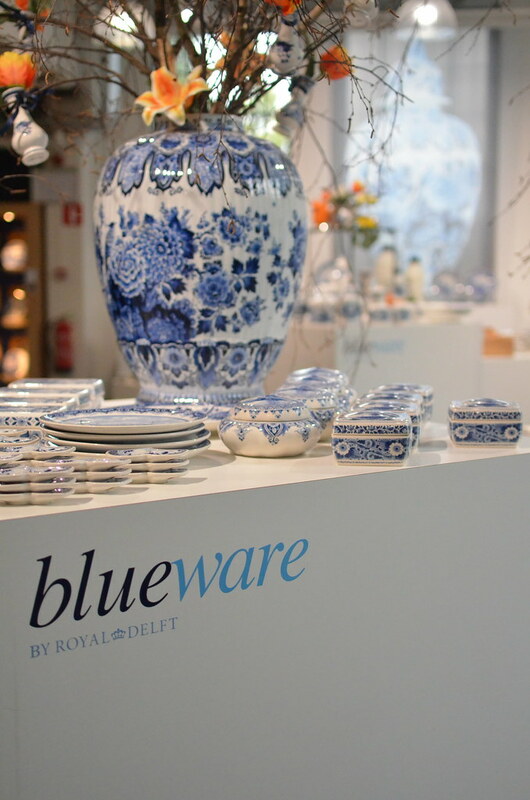 Anyway, Delft Blue pottery is just a white and blue ummmmm, na pottery that is made in Delft since the 16th century. When we got to the factory, ang laki niya. We didn’t go anymore upstairs to see how everything was done. We did that already na kasi before. Besides, there was an entrance fee and we felt it wasn’t very sulit to go. Instead, we wento and browsed na lang inside their store. 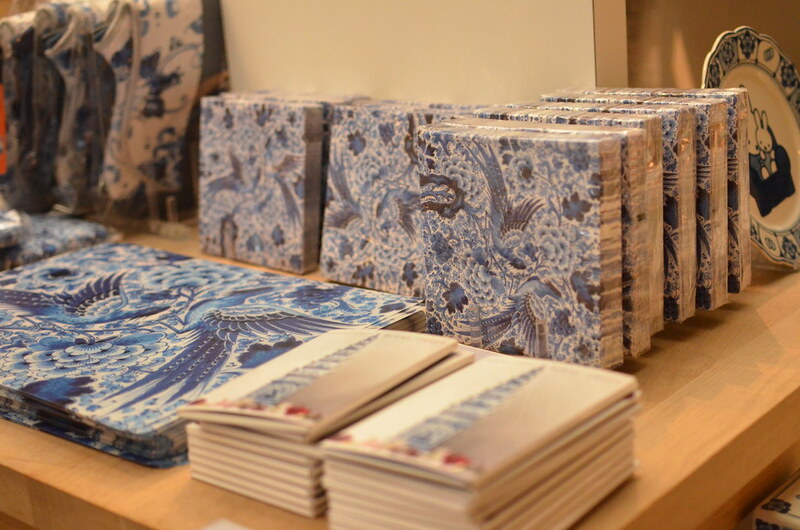 I find the Delft Blue products nice. 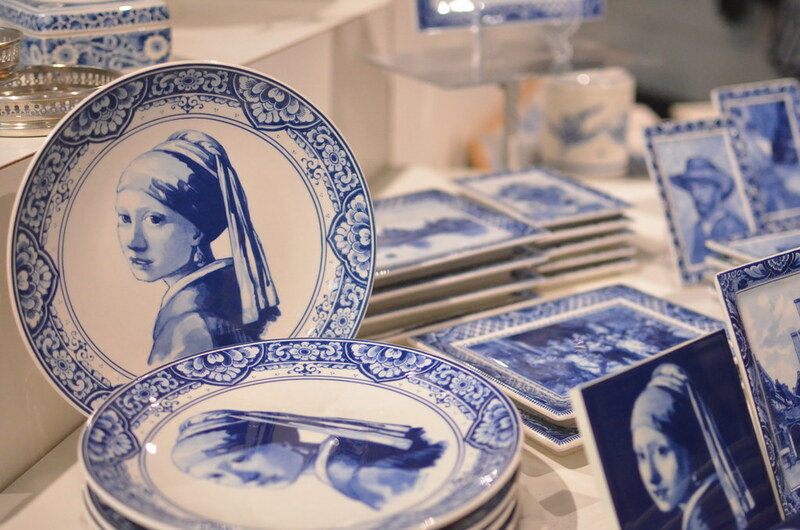 For me, there’s a calm feeling when you are surround with the blue and white figurines, plates and kung ano ano pa. It also reminds me of my childhood because Papa always used to bring home these from the Netherlands. I love how my red jacket contrasted with the blue and white background. We ordered coffee (Illy decaf for me) at the factory restaurant. 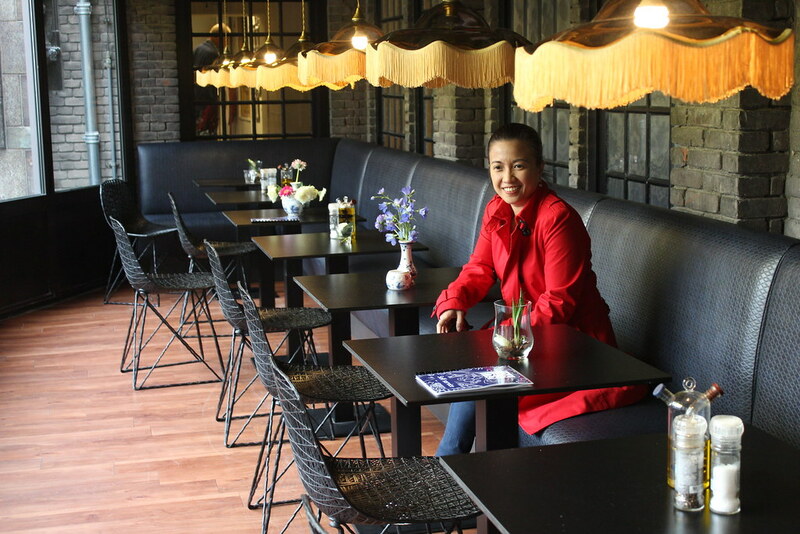 We were pleasantly surprised because there was a small but beautiful garden outside the resto. Of course, knowing Papa, photo opportunity itey! We spent around an hour there. After that we went to the city center and looked for a parking lot so we can go around and have lunch. Inabot kami ng siyam siyam kakahanap. 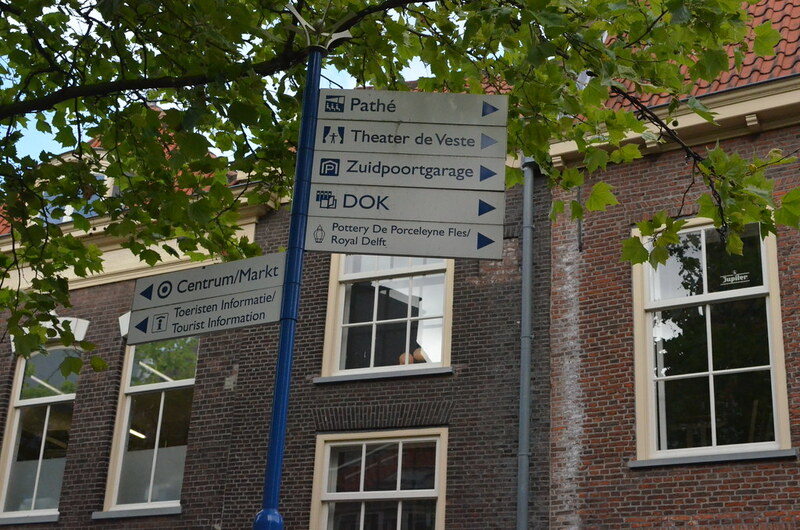 When we finally found the parking lot, we walked from the parking to the Central Market Square (or Markt) to have lunch. It was pretty everywhere! Nagulat ako hindi kami nasagasaan dun sa kaka-posing sa streets. 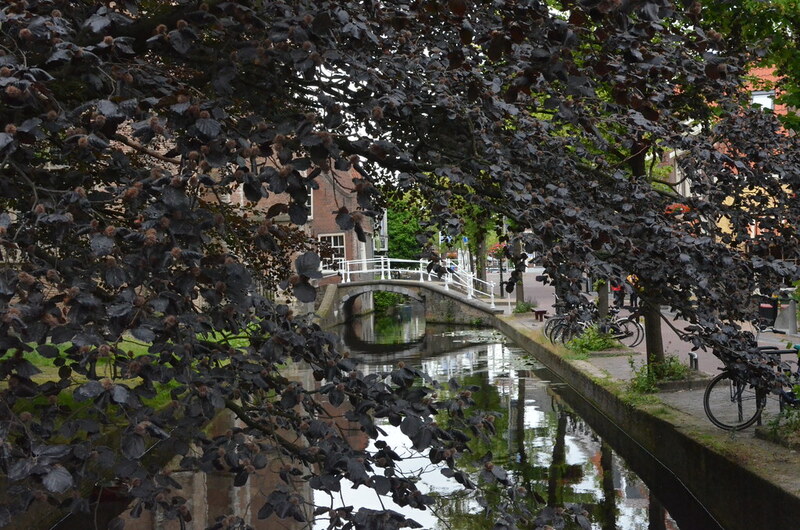 That’s what I miss about The Netherlands, you know. Ang linis dun. Ang presko ng hangin. And you will not mind walking far distances because every where you look is so nice. The scenery is breathtaking. Ang daming canals pero ang lilinis niya. 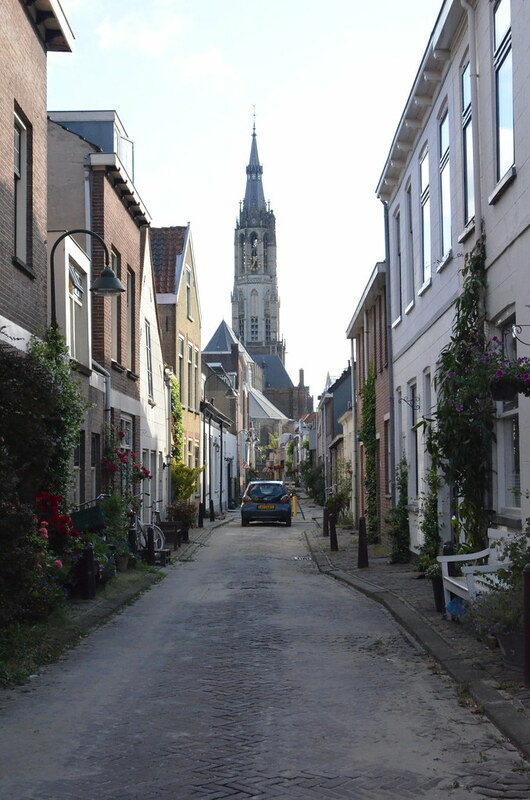 We passed by an alley that had a view of their Niewe Kerk or New Church. 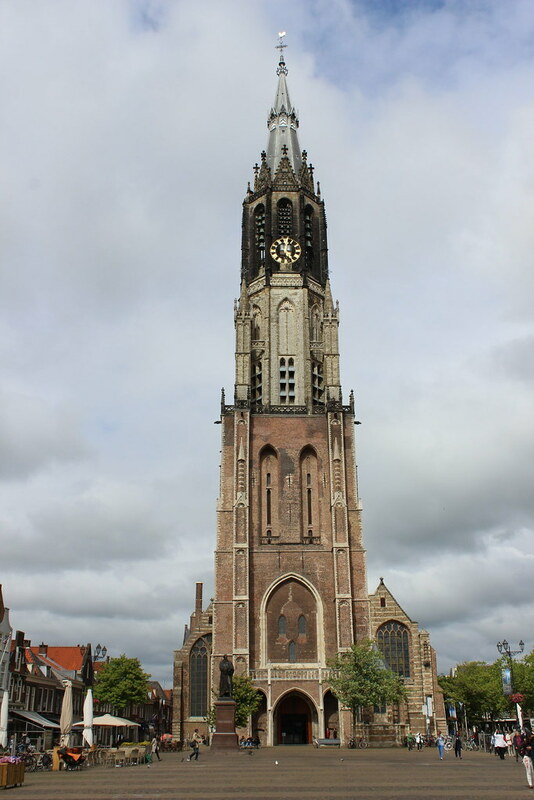 This church was constructed between 1381 and 1496. 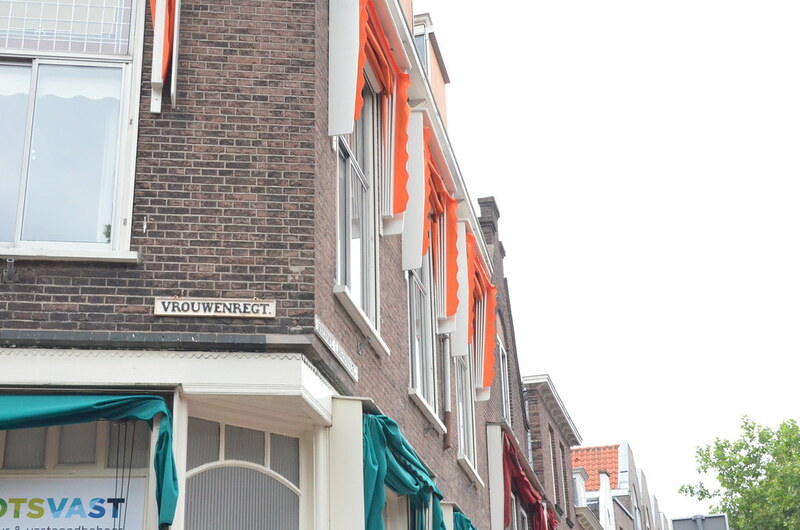 This is where you can find the Dutch royal family’s burial vault. 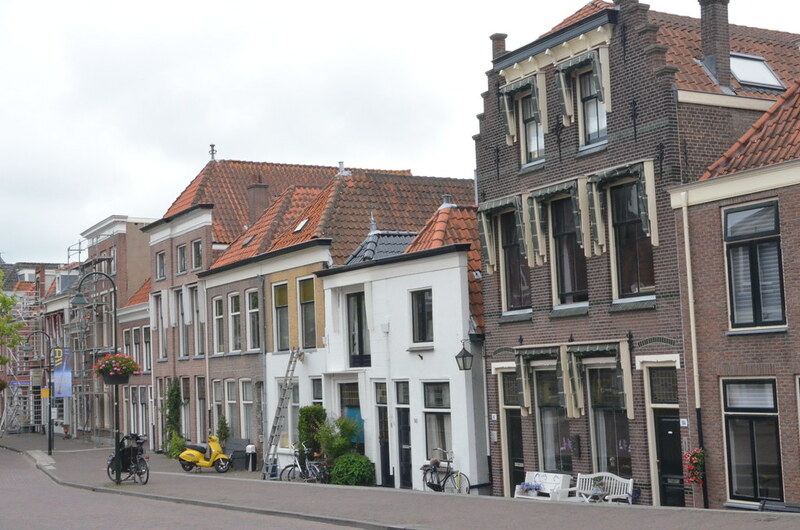 See what I mean when I said the streets were so narrow? One way each street lang because hindi talaga kasya ang two cars given that there are parked cars there too. And I think, hindi ka pwede magdrive talaga here if umiinom ka ng liquor. I’m pretty sure it’s very difficult to park there if you’re drunk. Mahuhulog ang kotse mo sa canal! Lelz. Well, in the first place, you can’t drive here pagnaka-inom ka. They have different check points where they check your liquor level through a breathing gadget. 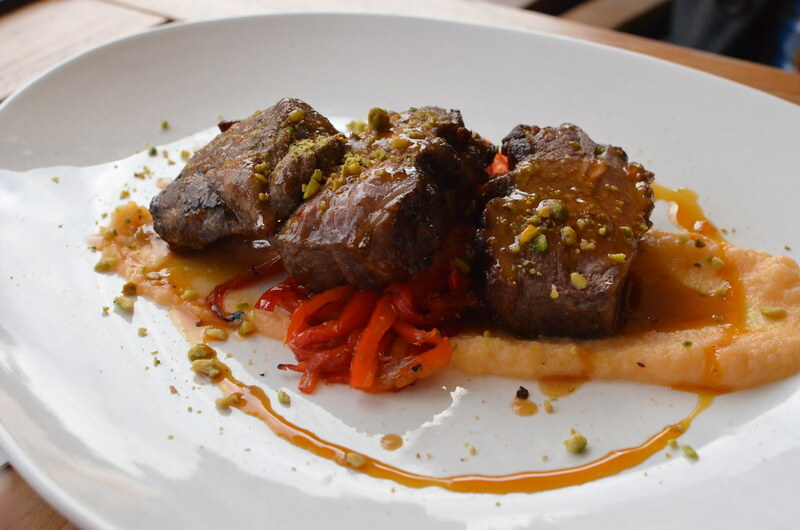 Papa had lambs and they were the best lambs I have ever tasted! 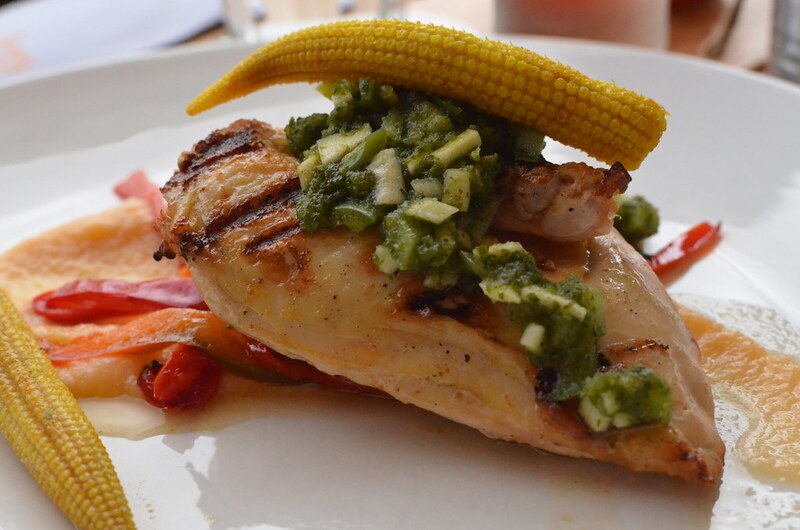 Peach y and I shared this chicken..
… and this salmon salad. Ewan ko ba bakit pero ang fresh talaga their salad! How can I re-create that?! The ingredients look simple. 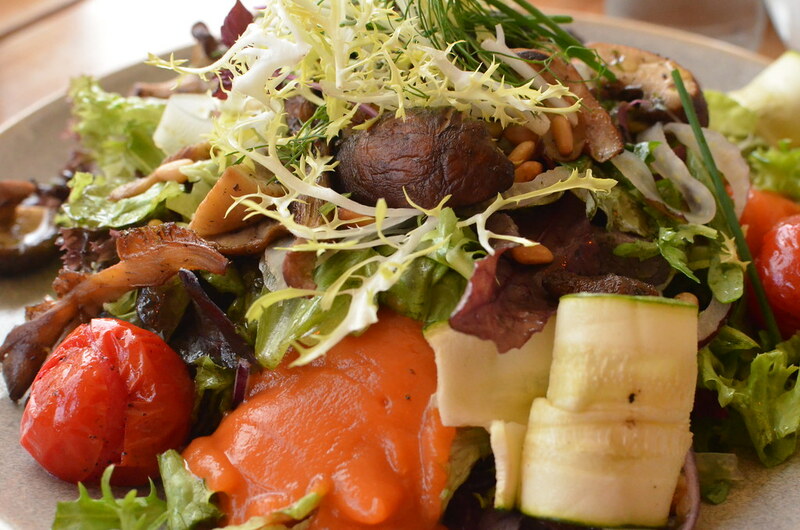 They have greens, zucchini, tomatoes, mushroom, pine nuts and smoked salmon. I wish there was a store here in Manila where you can get all these ingredients. Yung pagpasok mo, lahat lahat na kailangan mo for a healthy salad, nandun na. After lunch, we walked around some more. 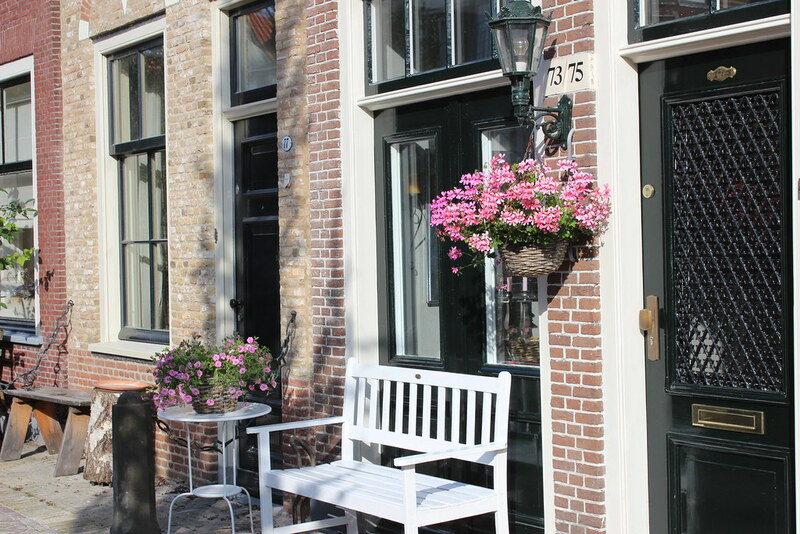 This is how the frontage of their houses look like. People who are passing can actually look inside your house if you do not have curtains. Hindi uso ata magnanakaw sa kanila kaya walang mga gates. Main door and glass windows na agad from the street. 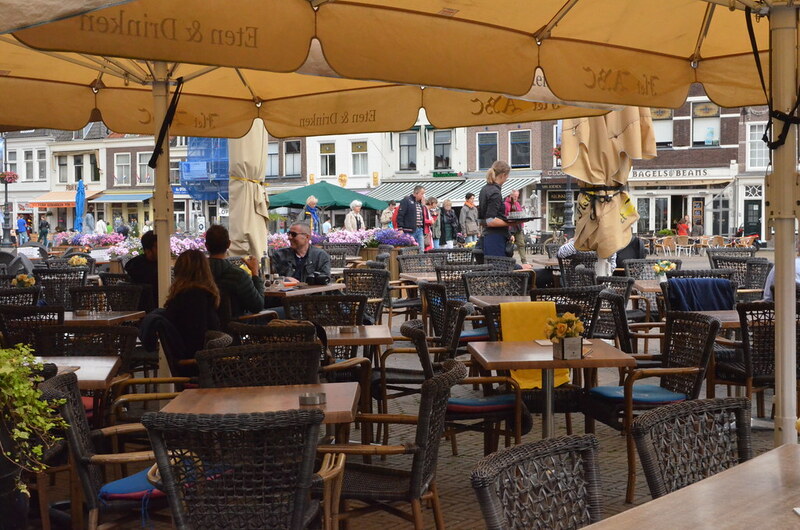 We place where we had lunch is called Markt. 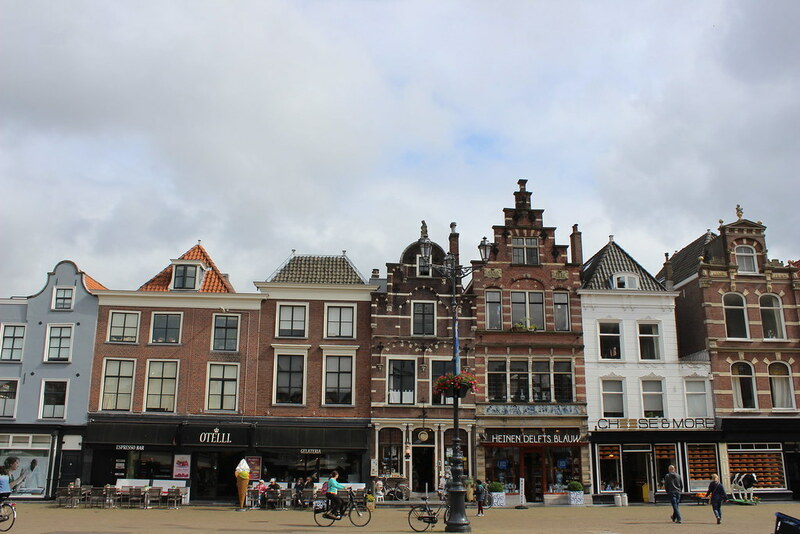 It is a huge square with restaurants, souvenir shops, the city hall and the Oude Kerk (Old Church) surrounding it. 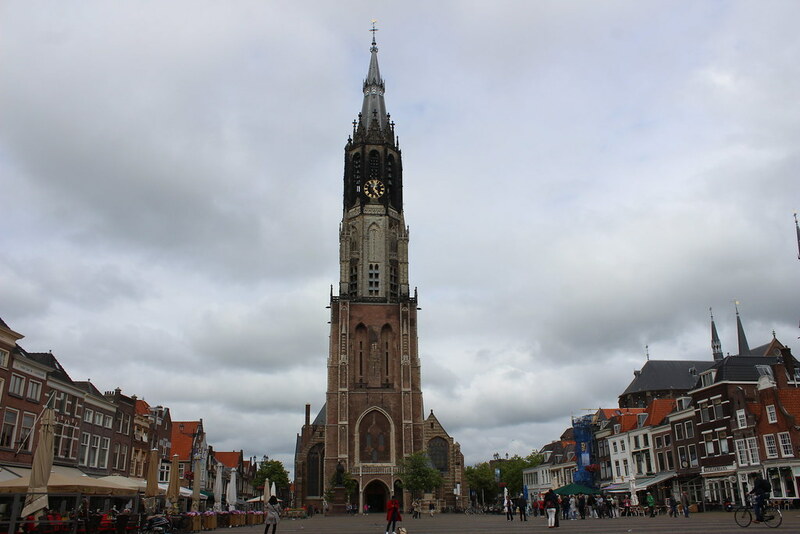 This is the Oude Kerk (Old Church). 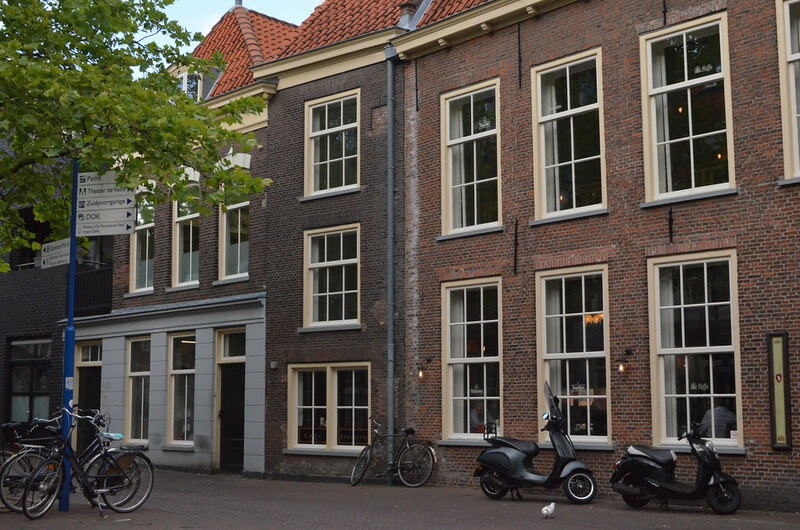 It’s a historical building where Piet Hein, Johannes Vermeer, and Anthony van Leeuwenhoek were buried. Kilala niyo sila? Anyway, the church was very grand. Bakit nga ba hindi namin pinasok? I wish we were able to go inside. I love old churches. 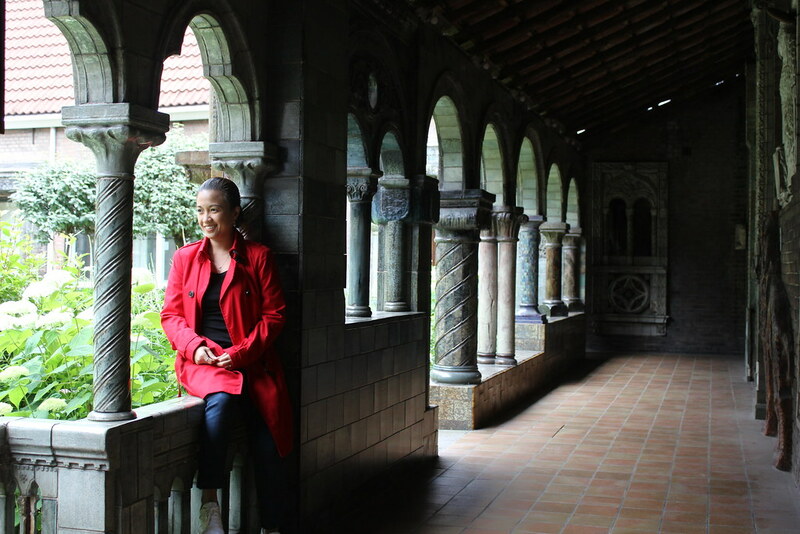 It’s amazing how the church survived all these years including World War 1 and 2 ano? Right in front of it is the City Hall. 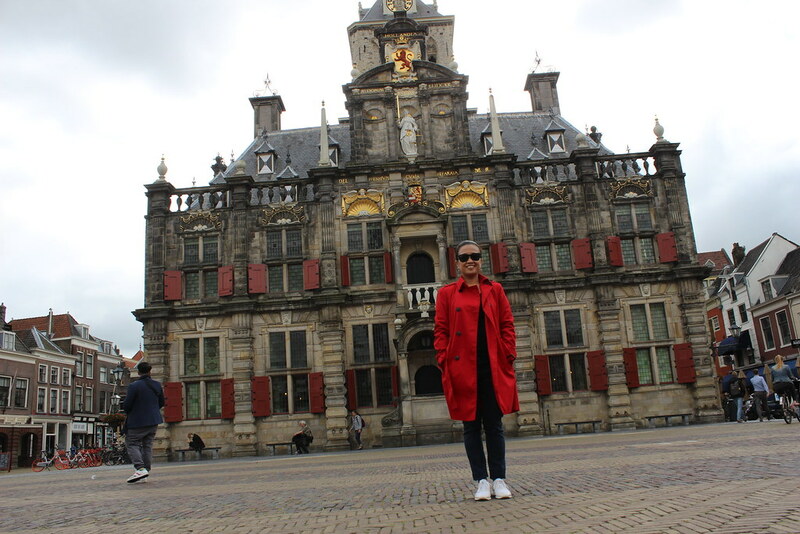 It’s a Renaissance style building (yan pala ang Renaissance, ano?). It is a former seat of the city’s government pero now diyan na hinohold ang mga civil weddings. Here we are minus my dad who took this photo. 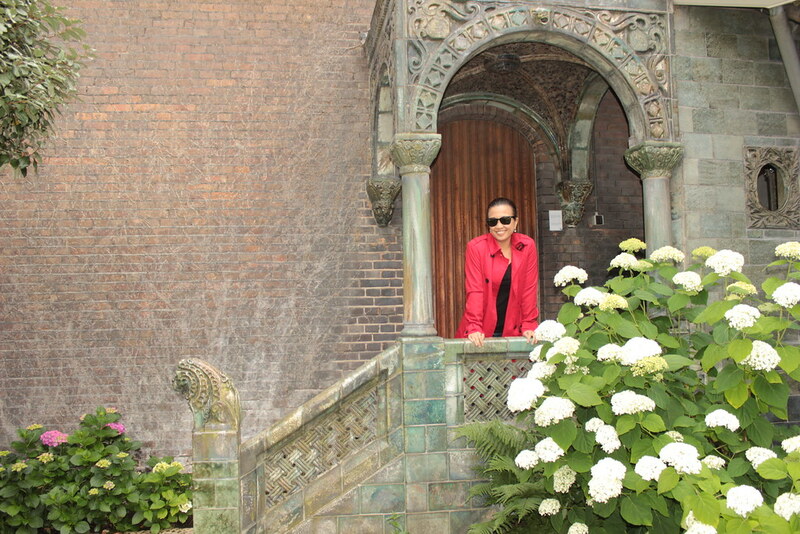 And of course, when we were at Delft, we tried out the costumes of the royalty back in the days. 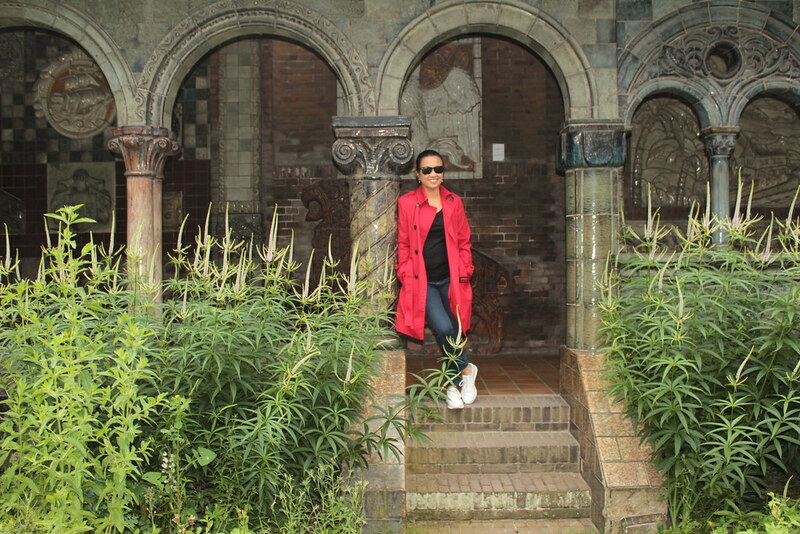 I think we paid 20 euros each for an indoor and outdoor pictorial. Hindi naman makati yung costumes, if gusto niyo ako i-ask. At first I was hesitant to try them on because mukhang matagal na sila hindi nilalabahan. But I was happy I did. I felt very royal and pretty! I wanted to wear my gown going home to Manila. The works yan ha? 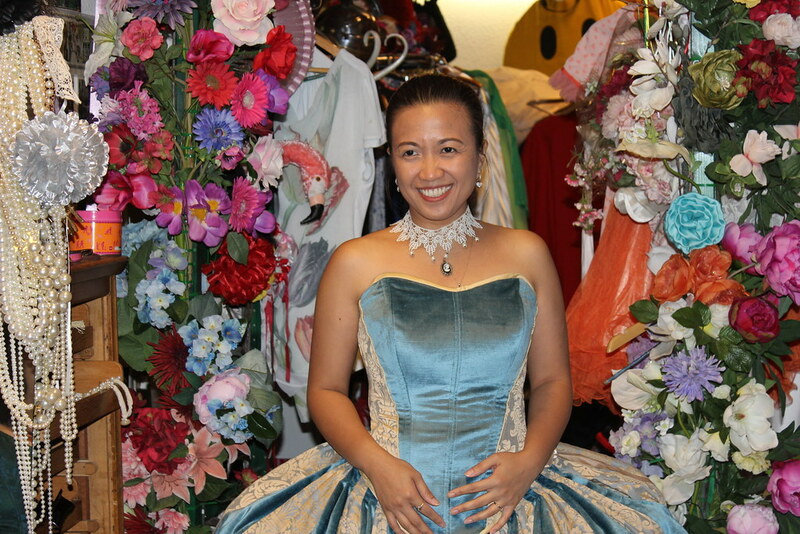 Yung petticoat na napaka-laki plus the really tight corset! 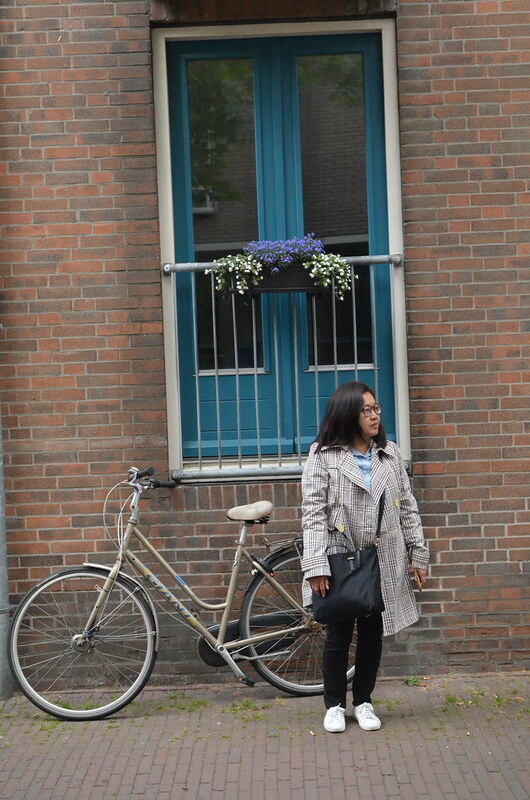 When we had our photoshoot outside the studio, there were a group of oldies na tourist who were taking photos of us. I was the last to leave to go back to the studio after. I saw them kasi taking photos of me so I posed for them. Hahaha! Alam niyo naman hindi ako mahiyain sa ganyan eh. Tuwang tuwa naman ang mga senior citizens. Picture sila ng picture! So if you find my photo wearing a huge gown kung san san, alam niyo na ang kwento. Lelz. 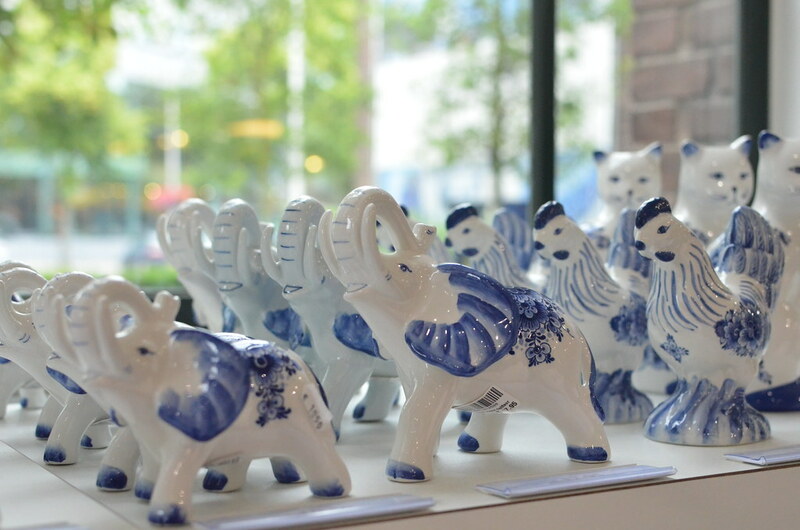 That’s it for my Delft travel story! 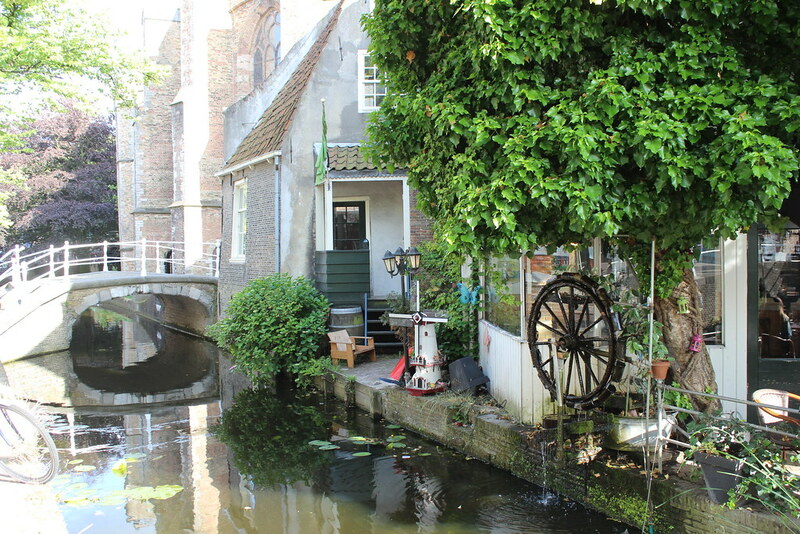 =) I have yet to tell you about Bruges and The Hague. Coming soon, promise! 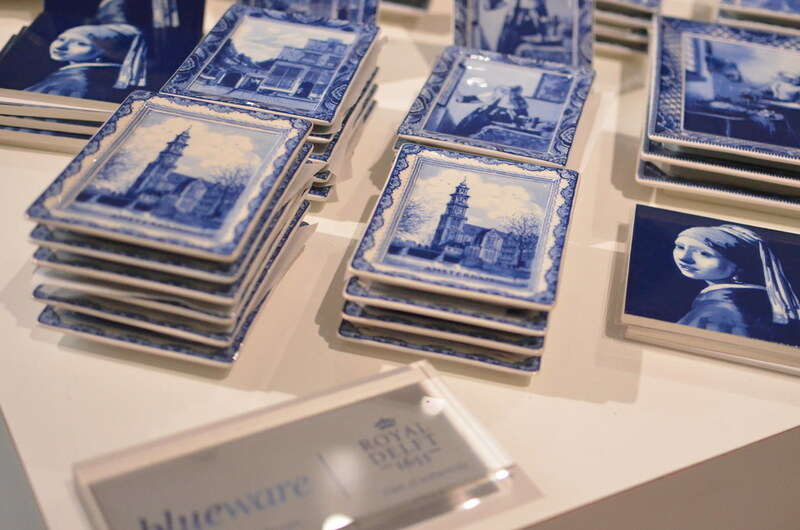 Mababaliw ata yung mommy ko pag nakapunta dun sa Delft Blue factory. Haha! So many figurines.